These healing arts complement each other beautifully and help patients to achieve their wellness goals quickly and efficiently, even for those with chronic health issues or stubborn pain. Our office welcomes families of every description, from 2-day old newborns to great-grandmothers! We see many weekend warriors, athletes, young moms and dads, retirees and those seeking to live a more physically involved life. It’s our mission to restore optimal function to the body so that people can do what they really love to do: play a round of golf, catch a fish or two, bend over to work in the garden, or participate in a triathlon! We work closely with you to provide gentle and effective pain relief so that you can enjoy life and live well. Our office is located very close to the Arbor Lakes Shopping Center in Maple Grove, so we’re easy to find, with ample parking available. We always make it a priority to accommodate the work schedules of our patients. 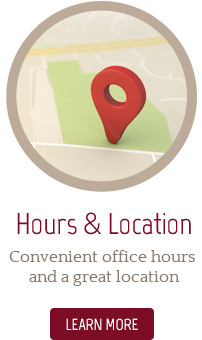 Whether you need a very early morning appointment or an early evening time, we can provide the convenient scheduling that you require! Patients also love the convenience of high quality chiropractic that’s often combined with the best in acupuncture and massage therapy, all under the same roof! We feature experienced practitioners that interact closely and interchangeably with each practice member, a situation where everyone benefits. For added convenience, we also accept all insurance! Voted “Best Chiropractic Clinic” in Maple Grove five years in a row! Our practice logo says it all. This famous drawing by DaVinci is often used as an implied symbol of the essential symmetry of the human body, and, by extension, of the universe as a whole. Some speculate that the image encompasses the spiritual and physical nature of man, and that the two can never be separated. We believe that this symbol exemplifies the holistic view of what a practice is all about: a delicate dance of symmetry, blending and balance. Your health and wellness are always our primary concerns. Very happy to have found a chiropractor that I am comfortable with. I love that it’s about fixing the issues and then coming back on my time. Everyone was friendly & helpful. Made me feel like my health issues were important. I can testify to a better lifestyle, in thanks to Broman Chiropractic! Excellent experience with all the staff at Broman. Everyone was extremely friendly and helpful during my very first visit! I would recommend them to anyone who needs Chiropractic care! 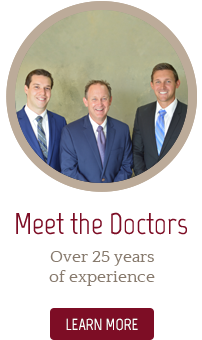 Dr. Doug Broman and his entire staff are top notch! I am new to MN and was referred to their clinic through my gym trainer. I trusted his advise and made an appointment. I had acute back issues that were limiting my mobility. Dr. Broman took excellent care of me and helped me through the pain with therapy treatments, adjustments, exercises I could do at home, and paid attention to every detail of my injury. This is the best care I have ever received from a Chiropractor and I highly recommend him and his team! I can’t say enough about how pleased I am with all of the staff that I have encountered at Broman Chiropractic & Wellness Center! I am not at all hesitant to recommended Broman Chiropractic Clinic with their amazing staff and doctors to my friends and coworkers. The chiropractor did great work and I was able to get back to my job faster because of him. I’ve been coming to Broman Chiropractic for over 15 years, and will continue to do so. Very professional and explanations were great. Will continue to come. Have seen Dr Tim for several years now. He explains everything and listens carefully. I really appreciate that Dr Paul saw me as an individual and therefore offered help based on my unique issues – rather than the pat, ‘come 3X a week’ answer I’ve gotten from other chiropractors. Also I liked that we started with less invasive treatment, knowing we can build. I liked his more gentle approach. 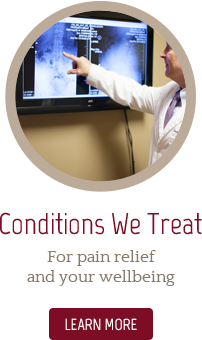 The overall experience working with Dr. Doug Broman and his exceptional staff was A++! Dr. Broman quickly assessed my issues and established and executed flawlessly on a robust plan to alleviate the excruciating pain. I am so grateful for the referral to Dr. Broman, the pain relief he was able to provide and his wonderful staff. Thank you! 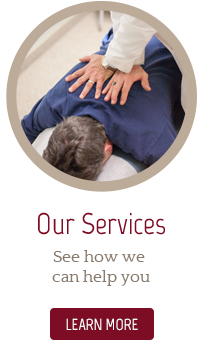 Dr. Broman is an excellent chiropractor that takes time with the patients that he treats. Very knowledgeable, helpful, and professional staff. Highly recommended. You guys are the best. Thank you so much for helping me to feel better. The staff is very friendly. The office is clean and I feel like they are using modern, current practices. Great service and really great staff. The staff at Broman Chiropractic were very friendly, attentive and helpful when I first arrived and with the rescheduling of my next appointment. Dr Timothy Klesk performed a very thorough history, exam and treated my condition with great care. He explained the many aspects of what my body was going through with my condition and how he was going to treat the condition. 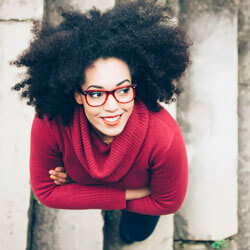 I was very satisfied with the outcome of the treatment and the care I was given by Dr Klesk and the staff.